This gallery is a digital version of the credential and certification wall display found in an office! 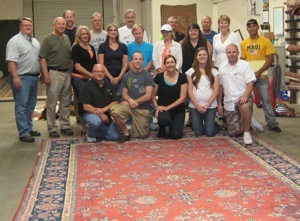 Pressluft is the only Certified Master Rug Cleaners in the Sacramento Valley including the surrounding foothills. Our Service areas include El Dorado County, Placer County & Sacramento County. We provide pick up & delivery to El Dorado Hills, Folsom, Orangevale, Fair Oaks, Gold River, Carmichael, Granite Bay, Newcastle, Roseville, Rocklin, Lincoln, Auburn, Sacramento & Elk Grove. 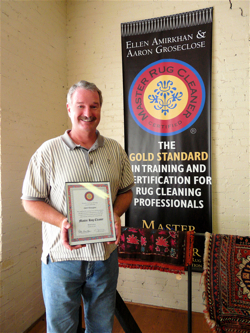 Call today to discuss your rug cleaning and repair needs. 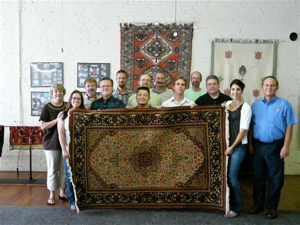 We can’t wait to get our hands on your rugs!